Your period is late and you're having pregnancy symptoms, but you are still getting a negative pregnancy test. Could you still be pregnant? If you're not pregnant, why is your period late, and what should you do about it? 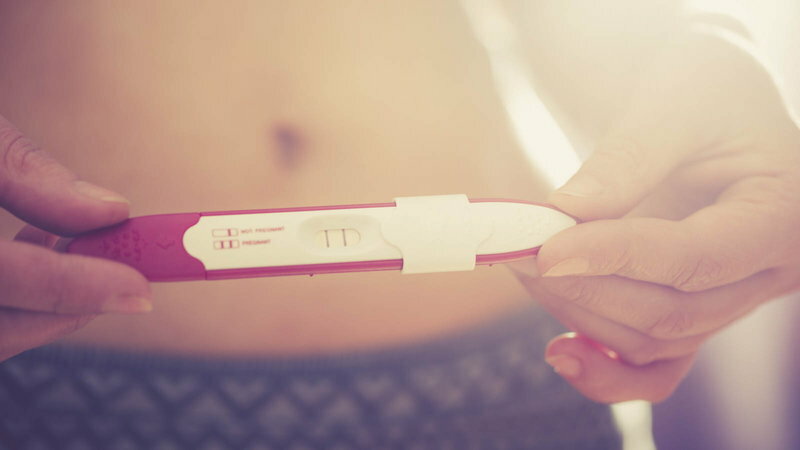 Negative Pregnancy Test, but No Period - Could I Still Be Pregnant? Absolutely! It is not uncommon for a woman to get a negative test result, when she is indeed pregnant, even when testing after her period is due. The biggest reason for getting a negative test result is miscalculating your period. The average menstrual cycle is 28 days. If you are fortunate enough to have a regular 28 day cycle, you would count 28 days from the start of your last menstrual cycle to determine when your next period is due. The problem with this method is two-fold. One, many women do not have a 28 day cycle and two, this does not account for variations in ovulation dates and, more importantly, the date of implantation. Your menstrual cycle is divided into two phases. The first half is called the follicular phase and lasts from the start of menstruation until ovulation. The second half is called the luteal phase and starts at ovulation, extending onward until pregnancy or until menstruation begins again. During the follicular phase of your cycle, you will produce hormones, specifically LH (luteinizing hormone) and FSH (follicle stimulating hormone). After ovulation occurs, it triggers a rise in a second set of hormones, progesterone and estrogen. The length of the follicular phase can vary greatly. The luteal phase, from ovulation onward, is typically 13 to 14 days. For example, a particular woman's typical cycle is the standard 28 days, but for this cycle our hypothetical woman's follicular phase is 16 days instead of her typical 14 days. This would mean if she tested the day her period was "due", she would actually be testing at 12 days past ovulation versus what she is assuming to be 14 days. 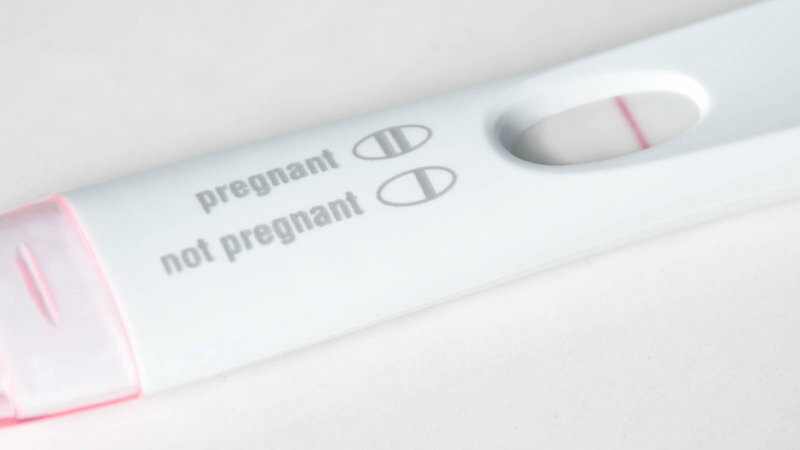 The two-day difference could be the difference between a negative and a positive pregnancy test. Another factor to consider is when implantation occurs. You will not get a positive pregnancy test until after implantation occurs. Although HCG is produced almost from conception, it is not until the egg implants that the HCG can be released into the woman's bloodstream in sufficient quantities to result in a positive pregnancy test. The time implantation occurs varies. Implantation can occur anywhere from 6-12 days past ovulation. Some women may notice slight spotting or bleeding, known as implantation bleeding, when the egg implants. Other causes for a negative test include diluted urine, expired test, improper testing, and ectopic pregnancy. If you have received a negative test result a day or two after your period is due, it may be as simple as testing too early. Retest again in a week, and if the test is still negative, consult your doctor. Are you pregnant? Find out your due date with JM's Due Date Calculator.